When will be Vienna: Empire, Dynasty and Dream next episode air date? Is Vienna: Empire, Dynasty and Dream renewed or cancelled? Where to countdown Vienna: Empire, Dynasty and Dream air dates? Is Vienna: Empire, Dynasty and Dream worth watching? For more than a thousand years Vienna was the pivotal city in Europe. 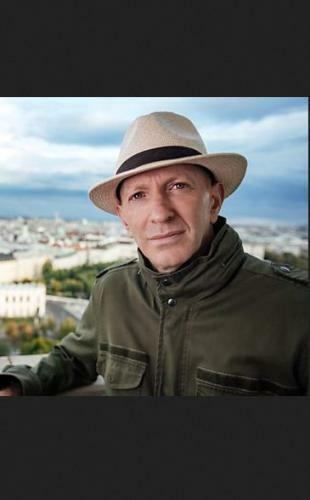 From the age of the Romans until WWII, its strategic position on the River Danube made it witness to war, intrigue, deceit and struggles for power.In this new three-part series, writer and broadcaster Simon Sebag Montefiore tells the story of an extraordinary city, through the Habsburgs who ruled it - and through those who tried to take it from them.Home to the Holy Roman Emperors and the target of Ottoman aggression, Vienna is a city that nurtured Gothic architecture and Baroque music. This is a story in which Napoleon, Hitler, Mozart, Strauss, Freud, Stalin and Klimt all played their part. Episode one begins over 900 years ago, with a Swiss German family, named after their castle - Schloss Habsburg. A family that emerged from bloody dynastic wars and religious conflict to become a central power in Europe. Choosing diplomacy over the battlefield, Emperor Maximilian I brokered some of the biggest dynastic matches in European history and created an empire that included South America, Spain, Italy and much of Central Europe. From Maximilian onwards, the history of the Habsburgs became the history of Europe. The dynasty formed Europe's front line in the struggle to defend Christendom from the Ottoman Islamic advance, and the Catholic Church from the Protestant revolutionaries who plotted to destroy it. As the Ottoman threat receded, this second episode describes how Vienna's cultural life grew hand in hand with its military and diplomatic victories. Vienna at this time became a magnet for musicians including Mozart, Haydn and Beethoven. The spoils of war also saw the construction of great palaces like Schonbrunn, home to the Habsburg's first female ruler Maria Theresa - the mother of Marie Antoinette. It was this French Queen's execution that spawned revolution in France, Napoleon's occupation of Vienna and the near-humiliation of the city's imperial dynasty. But the Habsburgs were survivors. After Napoleon's defeat, they reinvented both themselves and their right to rule in an attempt to keep their troubled and fragile empire together. In the final episode, Simon Sebag Montefiore follows the Habsburgs to their dramatic demise. From his struggles with Napoleon III and Bismarck and the suicide of his son Rudolf, to the assassination of his beautiful wife Sisi, Emperor Franz Josef's empire and his family proved impossible to control. But while the Habsburgs headed for extinction, Vienna blossomed. As the theories of Freud and the sensuality of the secession artists like Klimt and Schiele ushered in the modern age, Hitler and Stalin stalked her streets. It was here that World War I was sparked; it was here World War II was dreamed. Vienna: Empire, Dynasty and Dream next episode air date provides TVMaze for you. EpisoDate.com is your TV show guide to Countdown Vienna: Empire, Dynasty and Dream Episode Air Dates and to stay in touch with Vienna: Empire, Dynasty and Dream next episode Air Date and your others favorite TV Shows. Add the shows you like to a "Watchlist" and let the site take it from there.